Some plants will do whatever it takes to get around—even if that means ruffling a few feathers. By hitching a ride on the wings of migrating birds, certain species of moss make their way directly from point A: Arctic North America, to point B: South America. It’s likely the mosses get picked up while the birds construct their nests, the researchers report online in PeerJ . To build nests, shorebirds like the American golden plover (Pluvialis dominica, pictured above) use their breasts, feet, and beaks to dig shallow holes in the dirt and, as a final touch, line their new homes with bits and pieces of nearby plants, catching tiny moss spores in their plumage. Using microscopes, the team found stowaways on three of the eight species of shorebirds they sampled: American golden plovers, Semipalmated sandpipers (Calidris pusilla), and Red phalaropes (Phalaropus fulicarius). 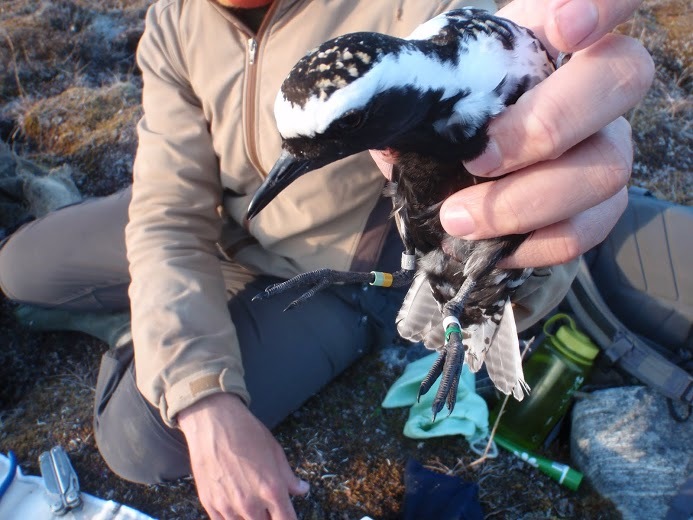 Although they only looked at 23 birds, the researchers found enough spores to convince them that new moss populations could arise as a result of the hitch-hiking behavior. The new finding provides insight into the establishment of moss populations across the equator, which until now, scientists had only speculated about.